In her book, The Earth Knows My Name, Patricia Klindienst asks why in a typical gardening book, gardening is presented as the province of the privileged and the white. She says we are a democracy of gardeners, yet, with few exceptions, garden writing tends to exclude the stories of the ethnic peoples who have shaped our landscape for centuries. As a result the idea of the garden has been stripped of its cultural weight. The Earth Knows My Name speaks directly to this issue, exploring the deeper implications of what it means to cultivate a garden and grow one’s own food. The gardens featured in the book have all been fashioned by people who are usually thought of as other Americans: Native Americans, immigrants and ethnic peoples who were here long before our national boundaries were drawn. 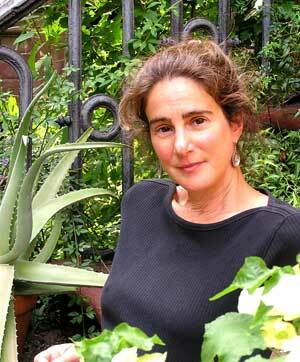 All these gardeners straddle two cultures, mainstream America and their culture of origin. We spoke with Klindienst in 2007. 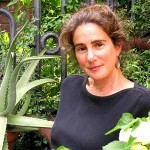 She won the 2007 American Book Award for The Earth Knows My Name. Only about 2% of Americans grow food for a living, down from nearly 80% a hundred years ago. It’s a tough life — farmers face long hours, poor working conditions, debt, high prices of fuel and feed and the uncertainties of an increasingly chaotic climate. Yet a growing cohort of young Americans is taking up farming with enthusiasm. They are heartened by the growth of the consumer movement for local food — locally grown food sales topped around $7 billion by the end of 2011. But many, if not most, new farmers have little experience to draw on to help them stay in business. Few come from farming families themselves. 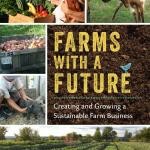 That’s a problem Rebecca Thistlethwaite addresses in her book, Farms with a Future: Creating and Growing a Sustainable Farm Business. 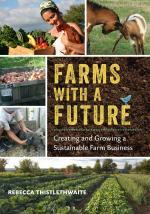 It’s written for small to mid-scale farmers, but we all have a stake in local agriculture, so, even if you just want to eat the produce, not grow it, it’s worthwhile knowing a little more about what it takes. 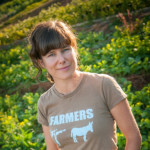 Rebecca Thistlethwaite and her husband raised organic, pastured livestock and poultry in their previous farm, TLC Ranch in Watsonville, CA. Then they took a one-year sabbatical and traveled across the U. S. to live and work alongside some of the nation’s most innovative farmers. They learned some of their best practices, like adding value to farm products, avoiding debt by building business slowly, using social networking for marketing, developing pre-sold distribution networks, and treating workers well.